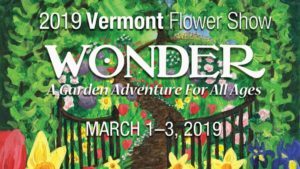 This organization shall be known as: Vermont Nursery and Landscape Association. Provide continuing technical and business education. Promote to the public a greater awareness of plants and landscape products and services. Provide opportunities for members to network and exchange ideas and information. Support research projects leading to improved horticultural practices and products. Promote ethical business practices and high standards of professionalism. Provide Vermont industry representation in various government affairs. Notwithstanding any other provisions of these bylaws, the Corporation is organized exclusively for one or more of the purposes as specified in section 501(c)(5) of the Internal Revenue Code of 1986, and shall not carry on any activities not permitted to be carried on by a Corporation exempt from federal income tax under IRC section 501(c)(5) or corresponding provisions of any subsequent federal tax laws. No part of the net earnings of the Corporation shall inure to the benefit of any member, trustee, director, officer of the Corporation or any private individual entitled to share in the distribution of any corporate assets on dissolution of the Corporation. No substantial part of the activities of the Corporation shall be carrying on propaganda or otherwise attempting to influence legislation (except as otherwise provided by IRC section 501(h)) or participation in, or intervening in (including the publication or distribution of statements), any political campaign on behalf of any candidates for public office. In any taxable year in which the Corporation is a private foundation as described in IRC section 501(a), the Corporation shall distribute its income for such period at such time and in such manner as to subject it to tax under IRC section 4942, and the Corporation shall not (a) engage in any act of self-dealing as defined in IRC section 4943(c); (b) make any investments in such manner as to subject the Corporation to tax under IRC section 4944; or (c) make any taxable expenditures as defined in IRC section 4945(d) or corresponding provision of any subsequent federal tax laws. a. Active Member: Any individual or organization with a principal place of business in Vermont and engaged in growing, designing, selling, distributing, installing and/or maintaining plants and landscape related products and services. 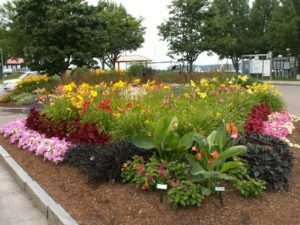 Vermont based organizations which are wholesale or retail distributors of hard goods such as irrigation equipment, garden structures, hardscaping or mulching materials may be active members while manufacturers may be Associate members. Only Active members, current in dues, are eligible to vote or hold office in the Association. Any individual or organization engaged in the production or sales of allied horticultural supplies and equipment. Examples of allied products are machinery and equipment, products used in plant production, trade magazines, insurance firms, and manufacturers of hard goods for the landscape industry. Any individual or organization with a principal place of business outside the State of Vermont and engaged in growing, designing, selling, distributing, installing and/or maintainingÂ plants and landscape related products and services. Faculty and staff of educational, research, or government institutions with activities related to the horticultural industry. c. Student Member: Any student actively pursuing a degree in the science of horticulture or landscape design and development. d. Honorary Member: Any individual or organization having made significant contributions to this Association upon nomination by the Board of Directors and elected by a majority of active members at an Annual meeting. e. Retired Member: Any active member 62 years or older, who has retired from their principal place of business in Vermont and was engaged in growing, designing, selling, distributing, installing and/or maintaining plants and landscape related products and services. Retired active members, current in dues, are eligible to vote or hold office in the Association. a. All members must have read the Bylaws and agree to abide by the Association’s Code of Ethics incorporated as Article X of these Bylaws. b. All new members must be sponsored by an active member and approved by the Board of Directors, except as provided for in the case of Honorary members. c. The Board of Directors shall designate the appropriate category of membership for each current or potential member. a. Expulsion or suspension of membership may result from violation of the Association’s Code of Ethics. Prior to such termination an opportunity for a hearing before the Board of Directors must be offered to the member. Termination or refusal to renew membership requires a two-thirds vote of the Board of Directors. SECTION 1. The annual dues for each class of membership shall be determined by majority vote of active members at any regular or special membership meeting. Proposed changes in the amount of dues shall require thirty days prior written notice to all members, including non-voting members. SECTION 2. Dues notices shall be issued annually at least 60 days prior to the due date. Members who fail to pay dues by the due date shall be notified that if payment is not made within the next succeeding 30 days, they shall be dropped from membership and forfeit all rights and privileges thereof unless prior arrangements are approved by the Board of Directors. SECTION 1. Annual Meeting. An annual meeting of the Association shall be held during the month of February at a time and place determined by the Board of Directors for the purpose of electing officers and directors, receiving annual reports, and transaction of other business. SECTION 2. Summer Meeting. A summer meeting may be held in late summer. Transaction of business may be scheduled at the discretion of the Board of Directors. SECTION 3. Special Meetings. Special meetings of the members to conduct business, may be called at any time by a majority of the Board of Directors or by petition of at least ten Active members. SECTION 4. Notice. Thirty days written notice shall be required for any regular or special general membership meeting where business is to be conducted. SECTION 5. Quorum. A quorum for any general membership meeting consists of ten per cent of the Active membership. b. Only Active and Retired members current in dues payment are eligible to vote. c. Absentee voting by proxy is not permitted. SECTION 1. Elective officers of the Association shall be a President, Vice-President, Secretary and Treasurer. The offices of Secretary and Treasurer may be held by one person. Officers shall serve as an Executive Committee and as voting members of the Board of Directors. a. Officers shall be elected at an Annual meeting by plurality vote of the voting members present and will serve for a term of two years, taking office at the conclusion of the meeting at which they are elected. b. Officers may serve in the same office for no more than five consecutive years. Such service may consist of any combination of appointed and elected service. c. A nominating committee shall present a slate of candidates for elective office at the Annual meeting. Nominations from the floor shall also be accepted. Candidates for officer positions must have served at least two years on the Board of Directors prior to being nominated. d. Elected officers are automatically voting members of the Board of Directors upon taking office. SECTION 3. Vacancies. Vacancies in any elective office shall be filled by appointment by the Board of Directors until the next scheduled Annual meeting. The President is the chief executive officer of the Association and presides at meetings of the Association and the Board of Directors. The President reports annually to the membership on activities of the Board of Directors during the previous year. The President appoints members of standing committees and establishes ad hoc committees as needed. The President shall be a member ex-officio, with a right to vote, of all committees. The Vice-President stands ready to assume the duties of the President in his/her disability or absence. The Vice-President may have other duties delegated by the President or specified by the Board of Directors. The Secretary ensures that the permanent records of the Association are properly created and maintained. The Secretary certifies quorums at meetings of the Association and the Board of Directors. The Secretary supervises all roll call and written ballots at meetings and certifies the results thereof. The Secretary is responsible for a records retention policy and ensures its execution. The Treasurer is responsible for the funds of the organization. By policy direction and oversight, he/she ensures accurate recording of receipts and disbursements, timely and accurate financial statements and reports, and timely filing of all required tax forms. He/she establishes controls for the handling of funds of the Association. The treasurer establishes financial policy and systems subject to the approval of the Board of Directors in such areas as, but not limited to, accounting systems, auditing, investments, and reserve funds. The Treasurer approves all disbursements of funds. In his/her absence or disability, he/she may delegate this authority to another officer. The Treasurer reports to members and to the Board of Directors on the financial condition of the Association. SECTION 1. The Board of Directors shall be fixed at nine members. The Board shall consist of all the officers, the immediate past President, and however many at-large directors are required to total nine members. a. At-large Directors shall be elected by plurality vote of the voting members present at an Annual meeting and will serve a two year term, taking office at the conclusion of the meeting at which they are elected. Three of these Directors shall be elected in even numbered years, and the remainder shall be elected in odd numbered years. b. Members of the Board of Directors may serve up to three consecutive terms in a non-officer position. c. A nominating committee shall present a slate of candidates for open Director positions at the Annual meeting. Nominations from the floor shall also be accepted. a. Vacancies in the positions of at-large Director or past President shall be filled by appointment by the Board of Directors until the next scheduled Annual meeting. At that time candidates shall be nominated and elected to fill any further unexpired term for the position in which the vacancy occurred. b. A vacancy in the position of past-President due to an incumbent President being elected for a second term and the past-President resigning shall be filled by nominating and electing a sixth at-large director for a two year term. a. The Board of Directors shall have the authority to act for the Association between meetings of the Association and to establish policies for the operation of the Association within the limits of its Bylaws. All actions of the Board of Directors are subject to review by the active members at an annual meeting. b. The Board of Directors shall have the authority to employ or contract for an Executive Director to manage the day-to-day activities of the Association as outlined in Article VIII. a. The Board of Directors shall have four regular meetings per year at a time and place designated by the Board of Directors. The Board may also meet upon the call of the President or by petition of any three Directors, at a time and place designated by the President. b. The Board of Directors will be notified ten days in advance of each board of directors meeting. c. A quorum of the Board of Directors consists of five members. Attendance of meetings can either be in person or via electronic means. Electronic means can include telephone, video or audio conferencing, or other electronic devices. d. Decisions of the Board of Directors will be by majority vote of those voting except as otherwise proscribed in these bylaws. Voting by proxy is not permitted. e. The Board of Directors shall have the authority to communicate and vote electronically, when necessary, in between scheduled board of directors meetings. f. Minutes of all meetings of the Board of Directors shall be kept and entered into the permanent records of the organization. SECTION 6. Compensation. Directors shall not receive any compensation for their personal services as Directors. The Board may authorize reimbursement of expenses incurred by Directors in the performance of their duties. SECTION 1. An Executive Director shall be an independent contractor hired by the Board of Directors to manage the operations of the Association and to assist the Directors and Committees with their duties. Specific needs to be met by the Executive Director may change from time to time and will be amended as needed by the Board of Directors. SECTION 2. The Executive Director shall be accountable to the Board of Directors and not to any one officer or Director. The Board shall establish the functions to be assigned, review the performance of the incumbent and establish contract terms for the position. SECTION 1. Nominating Committee. The President shall appoint a Nominating Committee and its chair no later than the fall meeting of the Board of Directors. The committee will solicit nominations for Officer and Director positions and present a slate of candidates to members at the Annual Meeting. Nominees for Director positions should represent an equitable distribution of industries and regions represented by the Association. SECTION 2. Standing Committees. The following shall exist as standing committees of the Association. a. Budget and Finance. Prepare an annual budget plan for approval of the Board of Directors and presentation to members at the Annual Meeting. Assist the Treasurer in carrying out his/her duties. b. Evaluation & Planning. Review performance of the Executive Director and recommend changes in duties and compensation as needed to the Board of Directors. Review the Bylaws and recommend amendments or revision as needed. Audit performance of Officers and Directors with regard to compliance with the Bylaws. c. Legislative. Monitor developing legislation related to Association activities and provide lobbying efforts and liaison with government bodies. d. Marketing and Education. Develop programs to educate the public and students about the horticulture industry and to promote the Association to members and the public. Develop programs to promote the VCH program to the public. f. Program. Develop meeting programs and educational events for the benefit of members. Ensure arrangements are made for meeting facilities, presentations, and exhibitors. g. Research & Awards. Develop recommendations for funding horticultural research programs. Identify candidates for achievement and scholarship awards and arrange for their presentation. h. Vermont Certified Horticulturist (VCH) Program. Oversee the administration of the VCH program including standards, recertification, and exam content. Represent the Association outside of Vermont and coordinate reciprocity among regional states. SECTION 3. Ad Hoc Committees. Ad Hoc Committees may be established as needed by the Board of Directors for specific purposes and tenures. The President shall appoint members of Ad Hoc committees. SECTION 4. Appointments to Committees. a. The President shall appoint a chairperson for each committee. The chairs shall seek additional active members not on the Board as needed. b. At least one member of each committee shall be a member of the Board of Directors. The President will appoint a Board member if the chair is not a Board member. SECTION 6. All activities of committees shall be subject to review and approval by the Board of Directors. Uphold the highest standards of professional comportment in the conduct of their occupational affairs/horticultural enterprise(s). Demonstrate an uncompromising commitment to the advancement of horticultural knowledge and its associated industries. Provide honest and impartial advice only on subjects about which they are informed and qualified through professional training or experience. As mentors of the next generation of horticultural leaders, strive to instill these ethical standards in students at all educational levels. Refrain from representing themselves as spokespersons for the Association without express authorization of the Board of Directors of the Vermont Nursery and Landscape Association. Refrain from using any distinguishing emblems or titles of membership/certification in the event that such membership/certification is not renewed or is revoked. SECTION 1. The conduct of all meetings shall be governed by Robert’s Rules of Order, except as otherwise provided for in these Bylaws. These bylaws may be amended or revised by a two-thirds vote of members at any meeting. Notification shall be made in writing at least thirty days prior to the meeting at which action will be taken and shall include the full text of the proposed amendment or revision, as well as the full text of the existing section or Bylaw. SECTION 1. The Board of Directors may require any or all Officers and/or Directors who have access to the monies of the Corporation or the committing of monies on behalf of the Corporation to give a surety bond for faithful performance. The surety bond premium will be paid by the Corporation. SECTION 2. The Corporation shall indemnify and hold harmless, to the full extent permitted by Vermont law as it now stands or it may from time to time be amended, each person who shall serve at any time hereafter as a member of the Board of Directors or as an Officer of the Corporation against all claims and liabilities to which such person shall become subject as a result of his or her having been a Director or Officer of the Corporation, or for any claims or liabilities resulting from any action taken or alleged to have been taken on behalf of, or the request of, the Corporation. This indemnification will result in the reimbursement to each such person for all legal and other expenses reasonably incurred by that person in connection with any such claim or liability. However, no such person shall become indemnified against, or be reimbursed for, any expense incurred in connection with any claim or liability arising from his/her willful misconduct or gross negligence. Upon dissolution or winding up of the affairs of the Corporation, any assets remaining after payment of or for provision for its debts and liabilities shall consistent with the purposes of the Corporation, be paid over to one or more organizations qualifying as exempt organizations under the provisions of 501(c)(5) of the Internal Revenue Code or corresponding provisions of subsequently enacted Federal Law, which organization shall have a place of substantial activity within the State of Vermont, and whose activities are similar or at least not inconsistent with the purposes of the Corporation. (Accepted and approved by unanimous vote of active members at the annual meeting of the corporation on February 15, 2018).